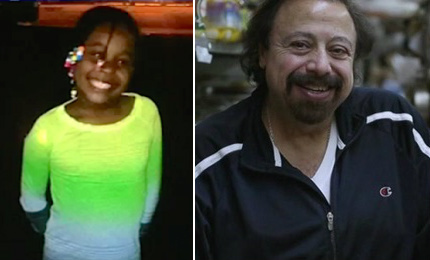 Killed by NYC drivers in August: Jadann Williams and Muyassar Moustapha. Twenty-one people died in New York City traffic in August, and 4,891 were injured, according to DOT’s Vision Zero View crash data map. As of the end of August, DOT reported 88 pedestrians and cyclists killed by city motorists this year, and 9,150 injured, compared to 96 deaths and 9,628 injuries for the same period in 2014. Citywide, at least 11 pedestrians and three cyclists were fatally struck by drivers. Among the victims were Rigoberto Diaz, Ernesto Perez, Muyassar Moustapha, Mallory Weisbrod, Ora Walker, Roy Amit, Lubov Brodskaya, Rochel Wahrman, Carol Carboni, Jadann Williams, and an unnamed male cyclist in Queens. Motorists killed at least one child and five seniors in August: Jadann Williams, 8; Rigoberto Diaz, 72; Muyassar Moustapha, 66; Ora Walker, 82; Lubov Brodskaya, 90; and Rochel Wahrman, 69. Across the city, 745 pedestrians and 578 cyclists were reported hurt in collisions with motor vehicles. Per NYPD policy, few of these crashes were investigated by trained officers. Of 11 fatal crashes on surface streets reported by Streetsblog and other outlets, no motorists were known to have been charged for causing a death. Jadann Williams was playing with other children when Reginald Auguste hit her with an SUV. Mallory Weisbrod was standing on a Manhattan sidewalk when she was fatally struck by a driver who also hit two other women. Roy Amit was crossing a Queens street in the crosswalk when a yellow cab driver backed into him. Lubov Brodskaya and Carol Carboni were hit in Brooklyn crosswalks by motorists making turns. The driver who killed Muyassar Moustapha in Brooklyn reportedly knocked his body 20 feet into the air. NYPD and district attorneys Cy Vance, Richard Brown, and Ken Thompson filed no known charges in any of those cases. Immediately after Muyassar Moustapha was killed, police defended the driver by telling the press the victim was not in a crosswalk and the motorist had the light. NYPD told the media Ernesto Perez and the cyclist killed in Queens “ran into” the vehicles that struck them. Based on NYPD and media accounts, at least four victims were likely walking or cycling with the right of way when they were struck, but police and district attorneys are known to have applied the city’s Right of Way Law in none of those crashes. Seven motor vehicle occupants died in the city in August, according to DOT, and 3,568 were injured. This is a criminal conspiracy between the killer drivers, the corrupt NYPD, and the corrupt DAs. All of them should be prosecuted. But espcially the DAs. DAs have no immunity from criminal prosecution. The trouble is that under our Catch-22 broken legal system, nobody except the DA is normally able to prosecute them. Legally, any grand jury can indict the DA immediately. But I think most people on grand juries don’t know that, and the DA lies to them about it. The best approach is probably a serious election campaign to put in a real DA who will throw the crooked cops, from Bratton on down, into prison where they belong. Such a DA will obviously need his own private security, since in NY, the cops are a violent street gang. I’m going to make a further comment. The City Council appears to recognize that there is a problem, but they don’t recognize what the problem is. So they pass laws (like the Right-of-Way Law), but the laws are ignored by corrupt police and DAs. The problem is not the laws. The problem is gross corruption in the NYPD and criminal conspiracy between the DAs and the NYPD to break the laws. This requires a different action by the mayor and city council. They need to clean the swamp. Oddly, city council members have the legal power to arrest and lay charges personally, so any one of them could start arresting and charging people themselves… but they probably don’t know this. These articles usually come with a table of statistics on who died, separating out drivers, passengers, cyclists, and pedestrians and what caused the wreck. what happened this month?